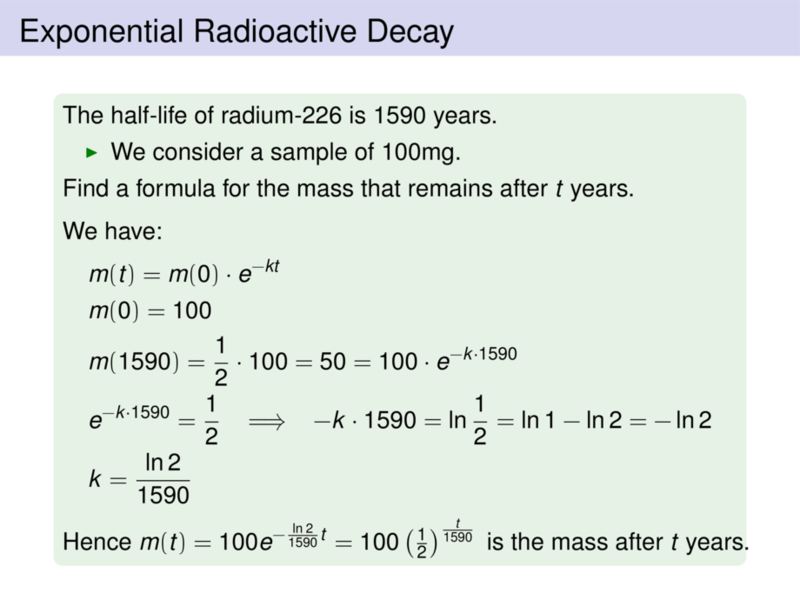 The half-life of radium-226 is $1590$ years. \item We consider a sample of $100$mg. Find a formula for the mass that remains after $t$ years.